President-elect of Slovenia Danilo Turk addresses debaters in one of the halls to be used for the conference. 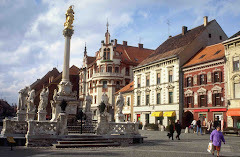 Bojana Skrt has secured an agreement with the University of Ljubljana Faculty of Administration to use their lovely new facilities for the conference. The facilities were used by the International Debate Academy and they are truly beautiful. 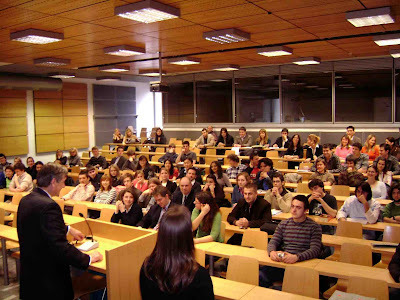 There are ample large classrooms for presentations as well as two large auditoriums for keynotes and opening meetings. There is a large space for registration and a reception. There are a number of coffee bars, drinks bars and a number of restaurants to visit for lunch. Negotiation has begun with one restaurant to provide lunch for all conference participants on Saturday. We are truly greatful to the Faculty of Administration for their support and partnership in this event.